A special collaboration between U.S. importer, Artisanal Imports and award-winning Belgian brewery, Omer Vander Ghinste, Cuvée des Jabobins Rouge was originally released on draft only. This unblended, old lambic ale is aged for a minimum of 18 months in 14 foot foeders, or oak barrels, and is robust in character with overtones of vanilla, dried cherry, stone fruit, and cocoa. Smooth, yet knocks your socks off bold. Not your typical sour ale. Left of Sunset was commissioned to create an identity for Rouge on draft. 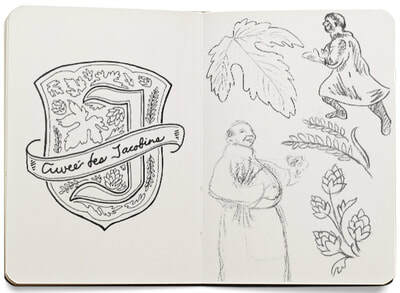 ​We explored countless iterations of iconic Belgian beer motifs and lettering. It was concluded that the large foeders, imported from France, are unique to the aging process of this particular sour ale. We also discovered through discussions with the Brewery owner that Jacobins was named after an abbey, which lies on the Rue des Jacobins in Paris. 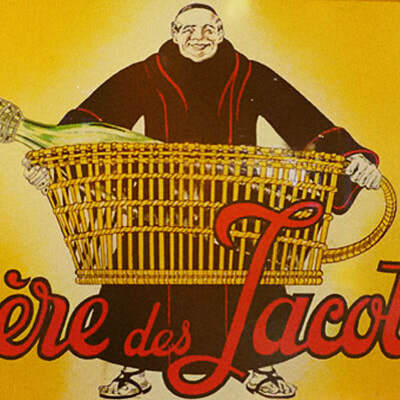 The monastery was a meeting place during the French Revolution and due to their assistance, the monks became the name of a radical activist group, The Jacobins. ​This history inspired the brewery founder's son, Omer Rémi, who spent some time in the area during World War II. ​Due to its popularity at the draft level, the Brewery began small production bottling, which immediately sold out on arrival to the U.S. market, early 2012. 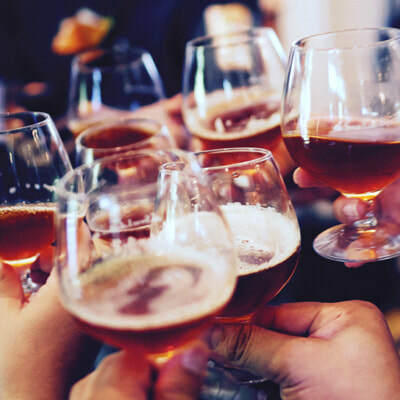 The Brewery has since expanded their facilities to accommodate higher production levels and an expanded product line of brews blended with Rouge, including Kriek and Prestige des Jacobins. 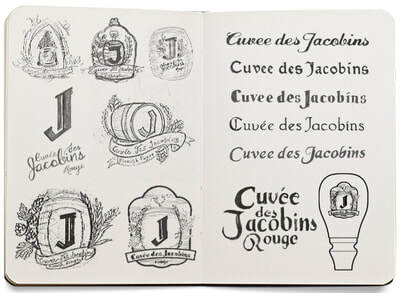 ​Left of Sunset developed the creative direction for the Jacobins brand, including Bottle Label and 4-Pack Basket, and a Mother Carton design. On the shelf, it is a stand out amongst category beers. 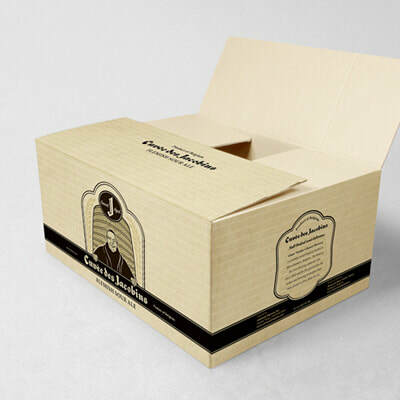 Inspired by a vintage advertising art from the Brewery's archives of a monk carrying beer in a basket, we created an updated digital, vector illustration based on the monk for authenticity and paired it with a customized gothic type style indicative of the old world. Our mascot now happily graces bottle packaging and point-of-sale, including tap handles, glassware, bar mats, and t-shirts.